Lloyd’s Register (LR), a 253 year-old classification society with deep roots in the maritime industry has officially unveiled a new corporate logo and branding today reflecting the growth of firm via the acquisitions of ODS, Human Engineering, ModuSpec, Scandpower and West Engineering. These acquisitions have diversified LR’s business units to cover a much wider risk management portfolio outside of maritime including nuclear, manufacturing, oil and gas, transportation, power, and others. Rival class society DNV-GL also unveiled new branding this week, although not officially, while at Marintec China. Olaf Mager, DNV-GL’s Senior Vice President, Corporate Communications & Branding, commented that the official presentation of their new branding is still about about a week away however. 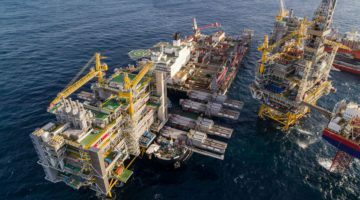 The reasons for the change are certainly due to the merger of DNV with Germanischer Lloyd, but also for reasons that reflect the expansion of their business lines outside of the traditional maritime and offshore sector.